13th Century B.C. : Egyptian Pharaoh Ramses the II hires Nubians (popularly known as Medjai), Libyans, Syrians, and Sherdens (from Sardinia) to compliment his own military and security forces. 400 A.D. During the Byzantine empire, emperors contracted foreigners for their personal security, forming the Varangion Guard. 1748: Harry Fielding, in the UK, proposed the founding of a permanent well paid professional security force. 1850s: Allan Pinkerton (a former Chicago police detective) created the Pinkerton Agency, his own private security agency. • Syria: 3,750: Average number of violent deaths per month. More than 140,000 people have been killed in the past two years, including 7,000 children. Of these, 5-6,000 were British, American, South African, Russian or European; another 12,000 are from Third World countries, such as Fiji, Colombia, Sri Lanka, and India. Most were hired mainly by the British security firm Erinys to guard Iraq’s oil infrastructure. Less than 1: percentage of applicants hired by elite security firms. Guards for private security firms can make between $400 and $600 per day. Guards employed by Blackwater, a high-profile American company that guarded Ambassador Paul Bremer in Iraq, were paid up to $1000 a day. • Asia Security Group, employs 600. Formerly owned by Karzai, president of Afghanistan. • Dyncorp: staff in excess of 5,000. Step 1 – Obtain military or law enforcement related experience. • Previous experience working in the special forces of the army, USMC, navy, or air force if seeking the higher paying security-related jobs. • Most private security companies will be looking for a minimum of 3-5 years of relevant experience on one’s resume. Step 2 – Obtain proficiency in a foreign language. • Develop a skill set in another commonly spoken language such as French, German, Arabic, Russian, or Spanish will make you more attractive to future employers. Step 3 – Get into great physical shape. • Many of the private security firms will require a physical fitness test be passed before making a new employee permanent. Step 4 – Build your resume. • Focus on job skills, qualifications, and experience that directly relate to the mercenary job(s) that you are interested in filling. Step 5 – Gather required documentation. • Most American private security firms require a valid U.S. driver’s license, tourist passport, the DD-214 provided on separation from the military service. 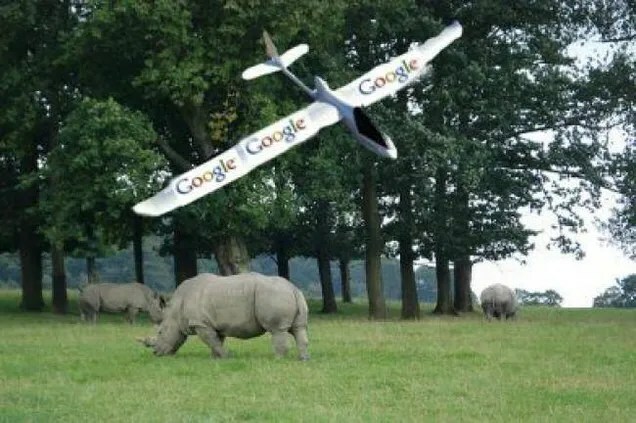 The World Wildlife Fund is sending Google-financed drones to African national parks to track down illegal poachers. But computer scientist Thomas Snitch believes he can do a better job—by applying a mathematical model he developed for the military to find insurgents making improvised explosive devices (IEDs) in Iraq. According to an article in Defense One, Snitch’s goal is to overcome poaching networks’ advantages in money and manpower. In South Africa’s Kruger National Park, for instance, the park rangers make $150 per month protecting endangered animals such as the black rhino. Opposing them are networks of poachers who can sell one rhino horn for $50,000 per kilogram on the black market. Snitch is skeptical of drones for several reasons. For starters, due to certain U.S. laws preventing the export of military-grade drones and State Department restrictions on the quality of the cameras they can use, any drones sent to Africa will be inefficient in surveying a place like Kruger National Park, which covers 7,850 square miles. And, even if a drone happens to spot a poacher, it won’t be of any use unless park rangers are within striking distance. So, what could be learned from Snitch’s experience with Iraq? If you know where the rhinos are, you can anticipate where the poachers will strike….For the model to perform correctly, he needs park rangers to report rhino sightings, fence breaks, tracks, unusual plants or animals, or other abnormalities…. Snitch believes that he can reduce poaching in Kruger Park by 70 percent with just $450,000—considerably less than the $5 million that Google gave to the World Wildlife Fund for the drone program. Read the full article, “The Secret Weapon in the War on Poaching…and Terrorism,” at Defense One. Washington (AFP) – Deputy US Treasury Secretary Sarah Bloom Raskin sounded the alarm Tuesday on student loans in the US, where the number of people defaulting is on the rise. At least 40 million people have taken out a student loan, Raskin said, and by the time students graduate, the average amount of loans is $30,000, and they will spend ten years or more repaying. And many never manage to repay them at all, Raskin said during a speech at the University of Maryland. 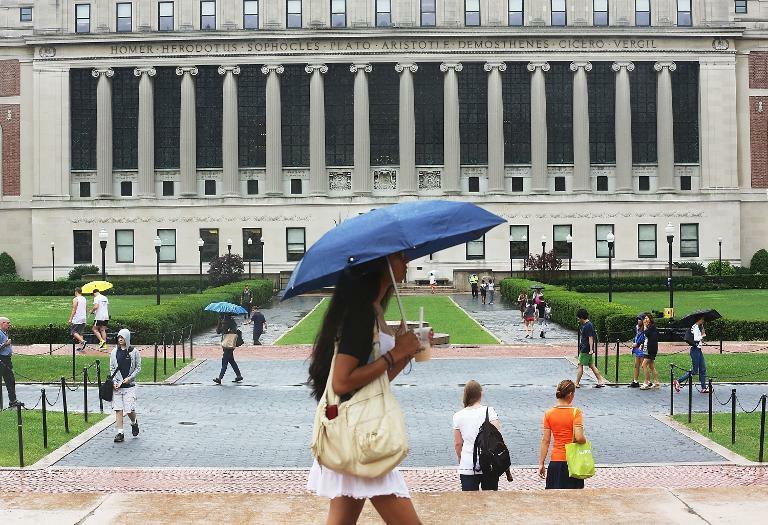 “While delinquency rates on many other types of debt have fallen in recent years, delinquencies on student loan debt are rising,” said the Treasury Department number two, noting that some seven million Americans had defaulted on their student loans. At the end of 2013, the total amount of US student loans approached $1.1 trillion, well above the total amount of credit card debt in the country. And the percentage of students graduating with debt is on the rise — 60 percent of graduates in 2012, compared to just 30 percent in 1993. “These numbers are daunting; to what extent should we be concerned?” Raskin asked, emphasizing that such figures could have an impact on the rate of economic growth in the country. Late payments and defaulting on student loans could later hinder the borrower from being able to get other loans, including mortgages and car loans. And sometimes, she said, defaulting on a student loan could hinder a candidate from getting a job, because employers often check credit history and consider past problems to be a sign of irresponsibility. The large majority of student loans in the United States are financed by the federal government, but distributed by agents or private banks. Raskin, who left the Federal Reserve to join the Treasury Department last month, called on these lenders to make it easier to modify payment plans for borrowers who find themselves struggling to meet their obligations. At the heart of many cities are its public transit systems, which help people get to work and get out of town. Some of the greatest public transit systems aren’t just large — they also offer their riders something extra, or reshape the cities they serve. 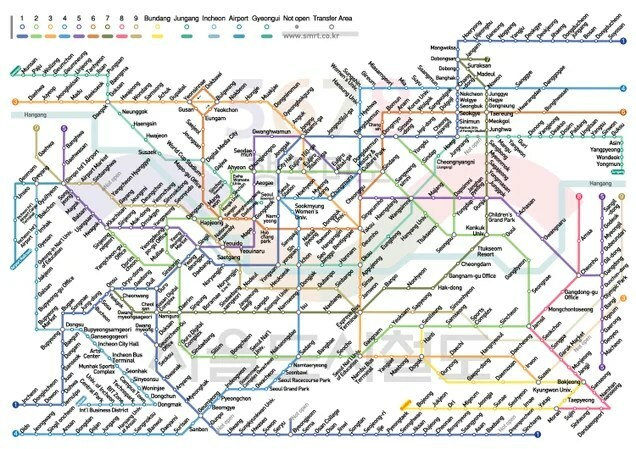 Here are some incredible public transit systems around the world. It’s believed that public transit systems began in seventeenth century France with a horse-drawn public carriage system. Unfortunately, it was reserved for use by the upper classes and quickly abandoned due to lack of use. It took 200 years before public transit really caught on in urban areas. But by the end of the nineteenth century, most cities had extensive transit systems that still provide the foundations (and infrastructure) for today’s elaborate trains, trams, skyways, and more. This is one of the world’s largest subway systems in terms of passengers carried, which isn’t surprising considering that 9.8 million people ride the trains every day in the Seoul Metropolitan Area (whose population hovers around 21 million). Trains come between every 2 and 5 minutes, serving nearly all of the city and its environs. The Seoul subway is also incredibly high-tech, with electronic billboards and the world’s first virtual market that displays goods in digital form and allows people to shop for groceries using their mobile phones. Of course, there’s wifi in all stations and cars. The downside? Ridership can get so high that levels of C02 and “particulate matter” go above safety standards. In Hong Kong, 90 percent of citizens use public transit for commuting. The geographic layout of the most densely-populated areas makes transit mostly linear, and wide-reaching. The Hong Kong MTR has implemented several systems that make transit efficient, but also among the most affordable public transit systems in the world. The Octopus railway card pays for all public transit, and is also accepted at many convenience stores and some restaurants. With 10 million Octopus cards in circulation, this cuts down on fare costs and transfer time. Because the MTR is widespread and widely used, there is no premium on access, and therefore locals see little rise in housing costs near transit lines. 3. 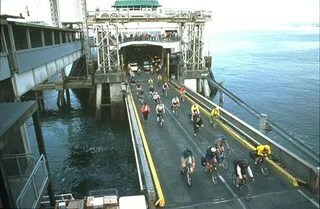 Washington State Ferries, U.S. The state of Washington has unique geological features that can make transit tough. The San Juan Archipelago and other islands are inaccessible from the mainland, while others, such as the snake-like Whidbey Island, would take hours to reach by car from major metropolitan areas. To compensate for this geography, Washington has the largest fleet of passenger ferries in the United States, servicing 20 docks, and operates them with shocking efficiency. In 2009, 22.4 million passengers and 9.9 million vehicles used the ferry system. Like Washington, Venice faces unique geological features. Composed of hundreds of islands and canals, cars, buses, and trains are not a viable mass transit option. Historically, people walked or kept a private gondola and gondolier, but modern Venetians use the efficient and extremely consistent vaporetti, which operate much like public busses and run around the clock. Unfortunately, the high wake speed of these motorboats has accelerated erosion of historic buildings. Begin in the late nineteenth century with horse-drawn carriages, Melbourne’s tram system has grown to be the largest in the world. With 250 km of track, and 1753 stops, the tram system criss-crosses this coastal city, bringing people from the suburbs all the way down to the beach. There are 3.5 million trips taken on Melbourne’s trams every week. 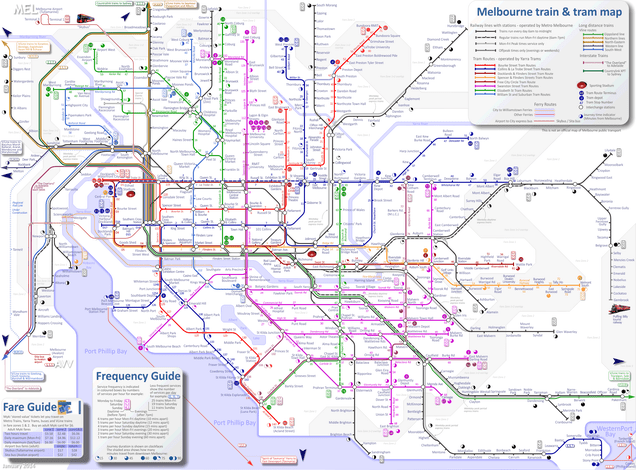 Though the city of Melbourne managed the tram network for nearly 80 years, it was privatized in 1999. This mirrors the fate of many national train systems, such as those in UK, many of which were privatized in the 1990s and 2000s. The Vancouver SkyTrain was built to reduce the amount of surface traffic in Vancouver, BC. The fully-automated elevated rapid transit line serves several areas around Vancouver, and has a very high level of punctuality. Ridership is ever increasing, and the growing reliance on SkyTrain has lead to concerns that the system may not be able to meet demands. The SkyTrain is also an excellent example of how efficient mass transit can transform cities, as population densities and wealth have increased around SkyTrain stations. Extreme terrain can lead to extreme traffic jams, lack of viable service, and extremely long commute times. Medellin, Colombia, is one such place. Barrios located on steep hillsides were not serviced by any form of mass transit, and private transport up and down the steep hills is inefficient and timely, due to low service and a high number of switchbacks. 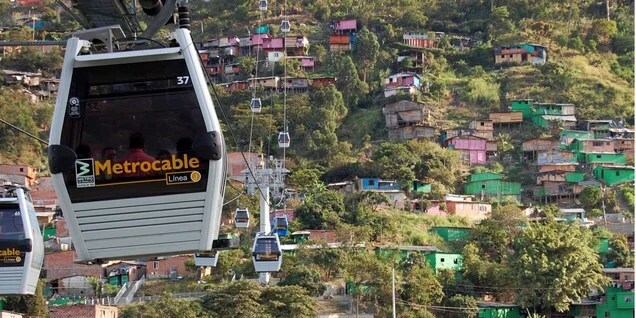 Average commute time was 2 to 2.5 hours from barrios to the downtown area, until the implementation of a gondola system. These gondolas connected people in outlying areas with the downtown andhave cut commute times in half. 8. The (Lost) Los Angeles Cable Cars, U.S. These cable cars were abandoned before the twentieth century had really begun. Over at KCET, LA historian Nathan Masters explainsthat late nineteenth century real estate speculators underwrote the city’s extensive cable car network to make housing in hilly regions like Bunker Hill (pictured here) more appealing. The cars were based on the same designs used for San Francisco’s cable car network, and eventually spanned the young city from east to west. But by 1902, they had all been replaced by an extensive network of electronic streetcars, which you can see in many early movies shot in 1910s and 20s LA. These streetcars were in turn scrapped to make way for cars and motorized busses. 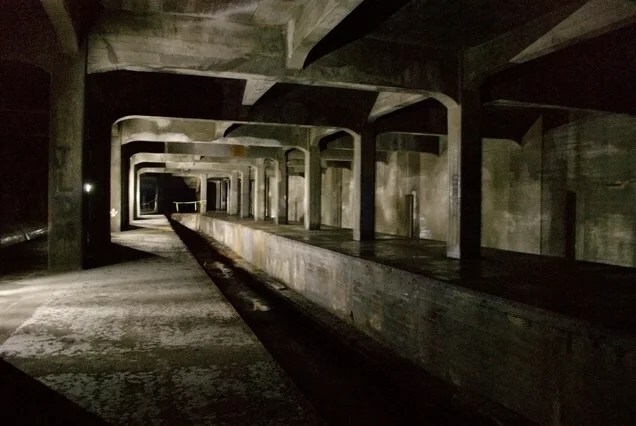 Beneath the city of Cincinnati lies the largest abandoned subway tunnel in the US. Built to revitalize the city’s street-car system, the project was never opened. 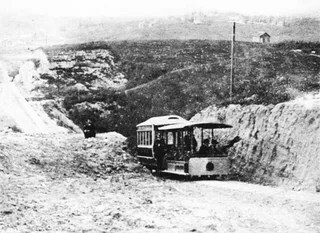 With eleven miles of tunnels dug, the multi-year project was abandoned in 1927 due to rising costs. Today, you can tour the tunnels. Despite extensive work on the system, no tracks were ever laid. Ever wonder why squinting helps you focus when you’ve misplaced your glasses? Or why things appear clearer when viewed through a small hole? Here’s the answer in video form. This video was put together by the fine folks as MinutePhysics. Top animation via MinutePhysic, an interactive explanation of how convex lenses work. Prior to the discovery of exoplanets, astronomers assumed that our solar system’s configuration was typical. 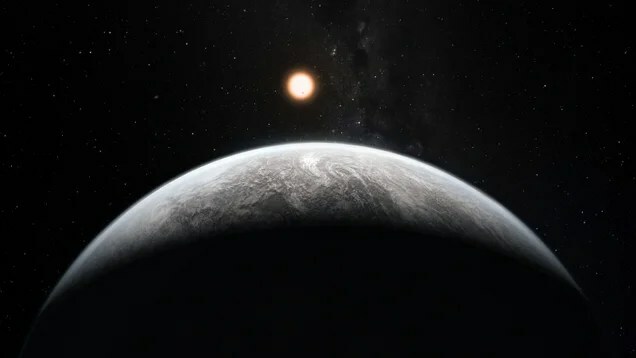 But now, some 1,715 exoplanets later, we know that we’re far from ordinary. So what passes for “normal” in the annals of solar systems? Here’s what we know now. 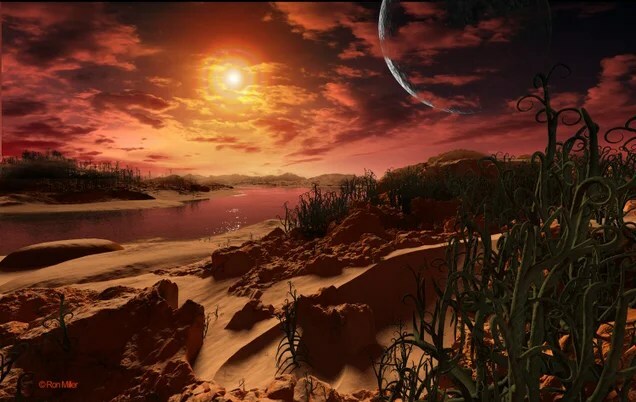 Top Image: Artistic impression of Kepler 186f by Ron Miller (used with permission). Astronomers used to believe that our solar system was representative of most — if not all — planetary systems. “I think it’s fair to say that most astronomers assumed that our solar system was unlikely to be an anomaly,” says Eric B. Ford. 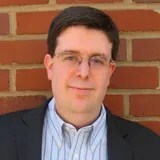 He’s with the Center for Exoplanets and Habitable Worlds, and a professor of astronomy and astrophysics at the Pennsylvania State University in State College, PA.
For some cases the assumption was explicit, but in other cases, we simply didn’t think about planetary systems that were very different from our own,” he told io9. This made perfect sense at the time given the lack of empirical evidence to suggest otherwise. It was a valid application of the Copernican Principle (i.e. we shouldn’t assume that we’re special in the large scheme of things). Moreover, our solar system has a kind of logical and consistent flavor to it, one in which small, rocky planets are parked on the inside, and large gas giants hang out on the outside — and all in tidy, nearly circular orbits. But as Ford points out in a paper that now appears in Proceedings of the National Academy of Sciences, we now know that our solar system is atypical in multiple ways. The discovery of exoplanets, he says, is providing many opportunities for improving our understanding of the formation and evolution of planetary systems. Planet-hunting projects, like NASA’s Kepler mission and the California Planet Survey, are providing a slew of data for scientists to pour over. Back in February of this year, for example,NASA confirmed the existence of 715 new exoplanets — an announcement that increased the figure of known exoplanets by a factor of 70%. And it was less than two weeks ago thatastronomers found the first Earth-sized, habitable zone planet. These days, the challenge for planetary astronomers is to make sense of all these findings. Needless to say, and as Ford told me, it’s still premature to put a single figure on of the total number of solar system architectures. I asked Ford why there are so many different types of solar systems. Planet formation starts when gas and dust swirls around what will become a star. Some of the dust sticks together to form into pebbles, some pebbles grow into planetessimals, and planetessimals grow into planets. That said, Ford says there are several planet-types and solar system architectures that appear to be fairly common throughout the galaxy. One of the first planetary models to emerge was one featuring a giant planet orbiting very closely to its host star — a so-called hot Jupiter. These systems typically feature a gap between the gas giant and any additional planets further away from the host star. Hot Jupiters feature orbital periods of up to several days and masses comparable to that of Jupiter or Saturn. As more observations have been made, however, astronomers have extended the median orbital period of these planets to about a year. 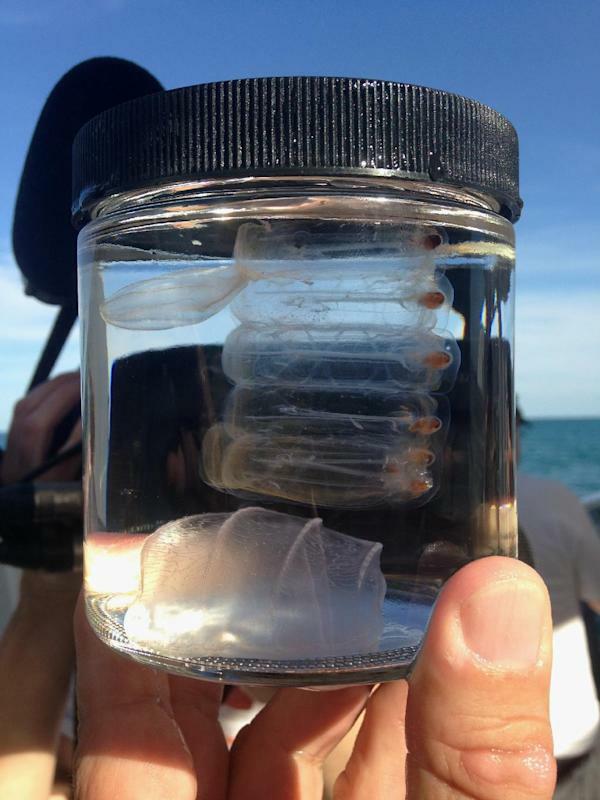 They also know that they’re rarer than initially presumed (a product of observational selection effects — and a problem that plagues every observation). In terms of how hot Jupiters form, the going theory is that they begin as a rocky core far away from their host star, followed by the accretion of a gaseous envelope, and then the migration to an uncomfortably close orbital location (sometimes as close as ~2-5 day orbital periods). Scientists aren’t entirely sure why the migration occurs, but it could happen as the result of a gradual migration through the protoplanetary disk, or the result of dramatic gravitational effects (i.e. the excitation of a large eccentricity followed by tidal circularization). 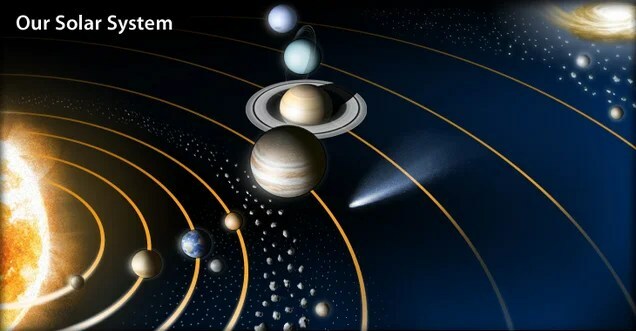 This process essentially cleans out the inner solar system by scattering any rocky planets in the inner planetary system into the star or the outer regions of the planetary system. A second architecture involves giant planets with greater orbital periods, typically around 300 days to about four years. These systems contain several planets significantly larger than the Earth, but smaller than Neptune. They’re packed tightly together, all orbiting closer to their star than the Earth is to our sun, and typically on nearly circular orbits. Some of these planets may have formed farther out in the disk and migrated to their current location. And it may not be a coincidence that many of these planets reside near the water-snow line (the location in the protoplanetary disk where the solid surface density increases due to condensation of water ice). 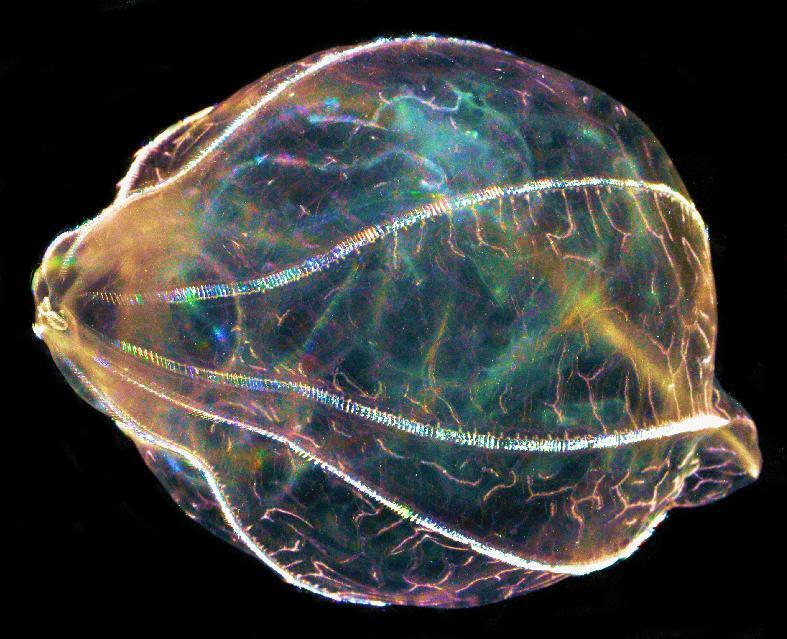 toward the snow line could be accommodated by a variety of migration models, including migration through a gaseous disk, migration via planetesimal scattering, or even via scattering of multiple planets or planetary cores,” writes Ford in his paper. Astronomers are also discovering giant planets with orbital distances ranging from a few AU to several AU. 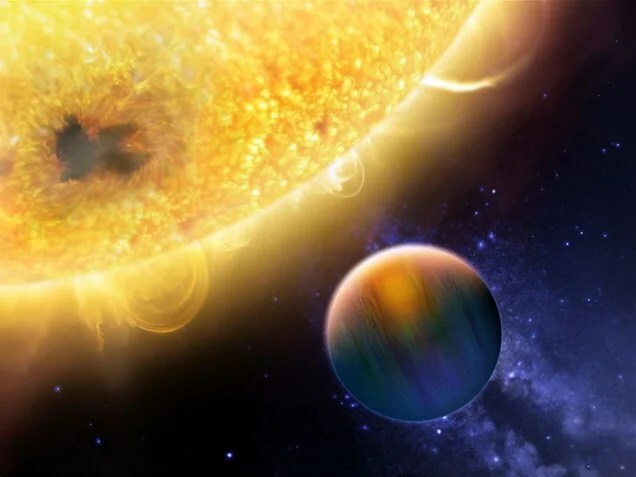 These systems contain about two to four giant planets orbiting their star with a distance comparable to that of Venus to our Sun, often with significantly elongated orbits. These wide, eccentric orbits suggest that some of these planets have ejected others from the host planetary system. And in fact, studies have shown that this “planet scattering” effect can naturally produce a broad range of eccentric orbits observed by astronomers. 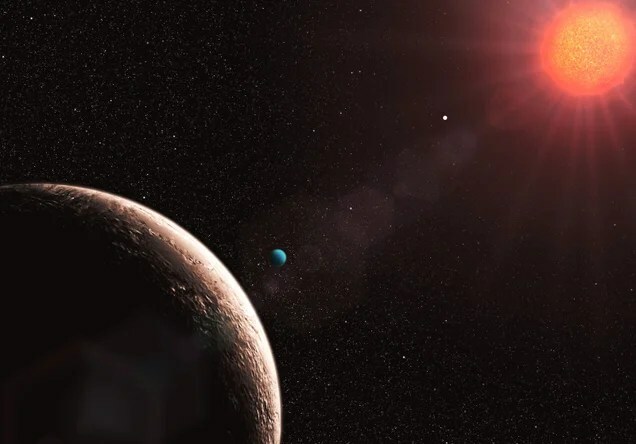 Another intriguing possibility is that planets in wide orbits formed around a star from a different solar system, eventually making their way to a new host star. Some systems feature Neptune- and super-Earth mass objects at short orbital periods. These planets appear to be much more common than giant planets. Interestingly, most solar-type stars host a sub-Neptune size planet. But while mini-Neptunes may be extremely common, we’re also learning that our galaxy is home to an abundance of systems with multiple planets. A typical system contains planets with relatively short orbits, ranging from about one to 100 days. These systems tend to be tightly packed, suggesting correlated orbital periods. The mass of most of these planets is dominated by rock, ice, or water, but not gas. Ford says these planets didn’t accrete a rocky core before clearing the protoplanetary disk, and it’s conceivable that their atmospheres are the result of outgassing (rather than accretion of gas from the disk). Ford also told me about two other types: A giant planet on a very slow and wide orbit much further from its host star than any of the planets in our solar system are from the Sun, and a giant planet orbiting around a binary star system. 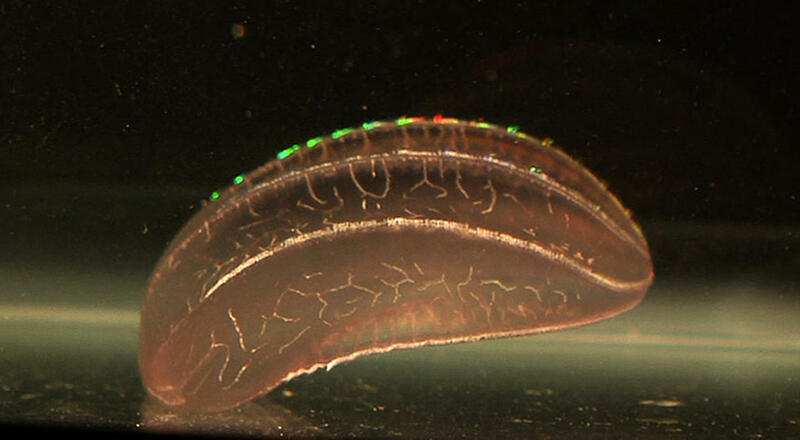 Ford’s work also carries implications to the search for alien life. His paper thus proposes some interesting questions, such as, is it worth searching for signs of life on planets larger than the Earthand likely enshrouded in a dense atmosphere? And if so, what would we look for? 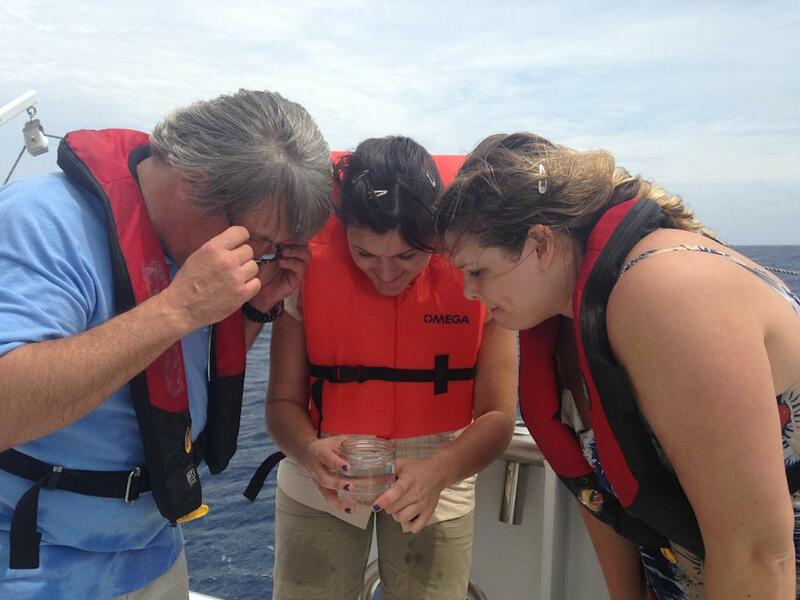 Also, if we don’t find any evidence of life, would that be a meaningful finding? Or would our search be so primitive that it’s not really an interesting result? Thankfully, we may be able to answer some of the questions in the coming years.